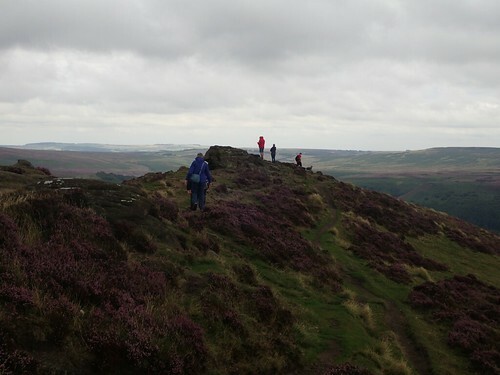 This is yet another Peak District walk with the route taken from The Walking Englishman. 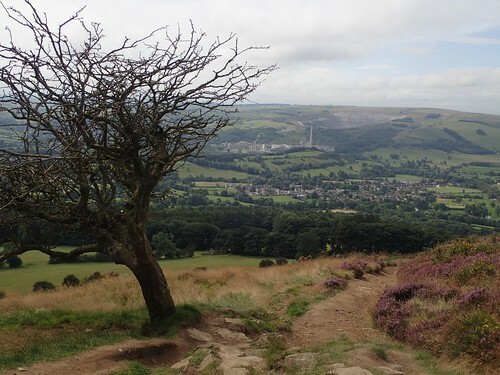 I’d like to say that the entire walk resides within the Dark Peak portion of the National Park but, I’m not sure where it ends and the White Peak begins… Even Google can’t provide a consistent answer. 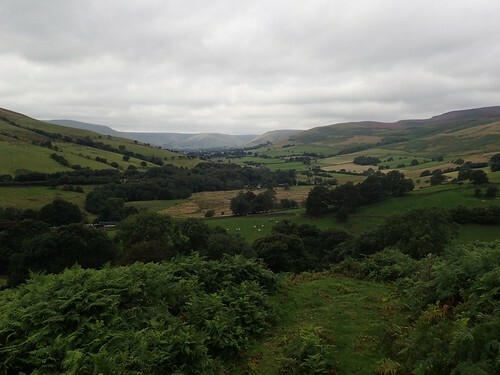 Regardless; a small portion of this walk passes through Edale, making it my first ever walk in Dark Peak of Derbyshire. 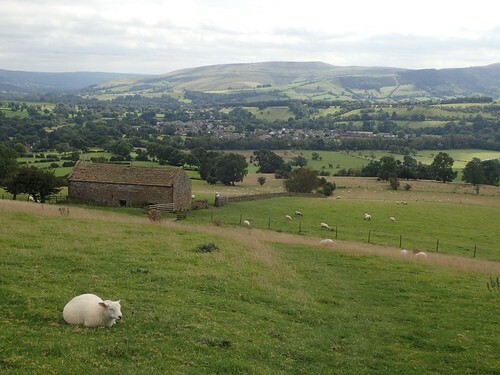 My third day in Derbyshire, hours before my final night. My third consecutive day of walking, having already covered 25.5 miles and I wasn’t ‘feeling it’ in my legs. This walk was always going to be the highlight of my weekend. I’d thought about being brave and navigating my way to the start point using old fashioned means. 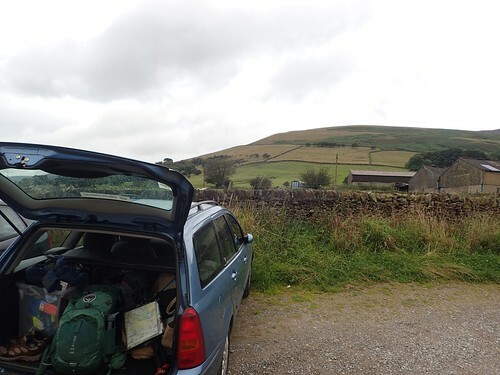 But, at the risk of failing to find a free parking space, I was reliant on my SatNav and managed to squeeze my car in, alongside others parked beside the track leading to Nether Booth YHA. Hills ahead of me; hills behind. But my walk would begin along the road I’ve just driven on, now heading eastwards. This road walk last barely a kilometre, before I turned off along a driveway towards Carr House Farm. 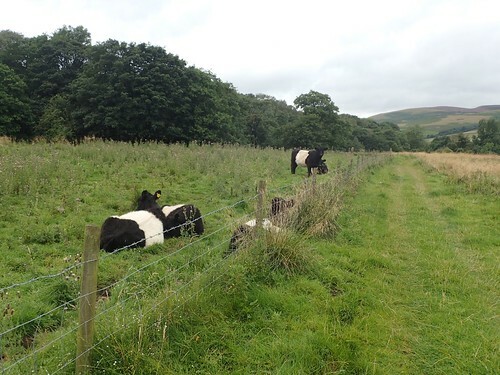 Again, the waymarking was pretty good (if unofficial), for a walk in Derbyshire – always a plus for me, as I don’t enjoy walking close to farms. 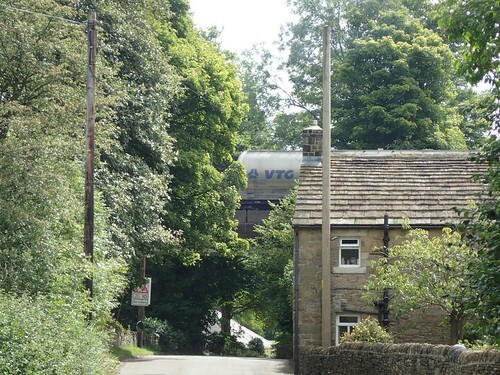 …This almost came to light as I reached the buildings of Upper Fulwood Farm. In the field to my left, a tractor was on the move. 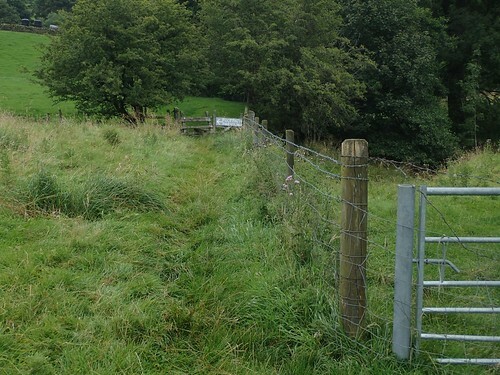 Ahead, I spotted a footpath sign pointing right… But somehow missed the stile beside it – instead, following the river south across private land and soon to meet a dead-end! If anyone did see me, they didn’t cause a fuss. 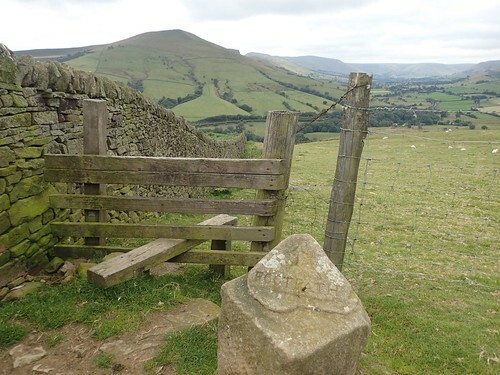 Retracing my steps, I was soon following the obvious path around the buildings, past the sniffing nose of a collie poking from beneath an old door and then, climbing up and away from Edale End. It was hard work, suddenly, but relief from the activity of a working farm. 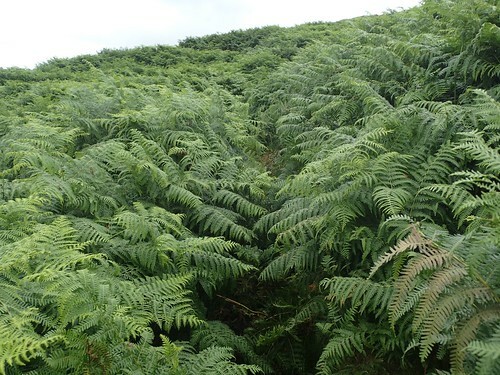 I fought my way through an initial plight of bracken, to emerge in admiration of this view. Climbing higher, in search of an old Roman Road, my back was turned to the afternoon of hiking and adventure that would await. 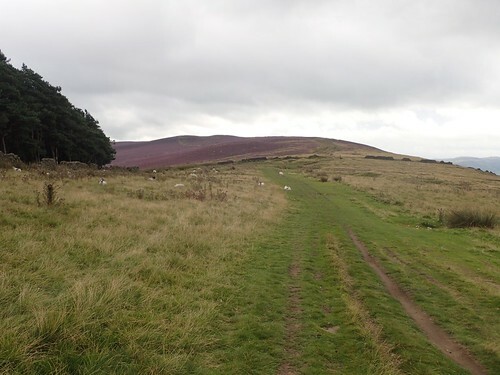 This route, following the ends of Woodlands Valley, would lead me to my first summit of the day. 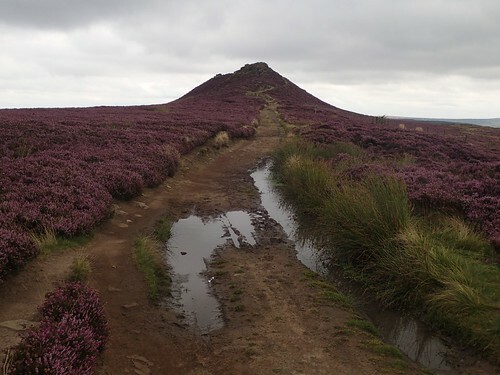 Before this trip, I’d held on to reservations about heading to Derbyshire on an August weekend… But, I’m glad I let them go, as not only was the weather great but, the hills were alive with purple heather. 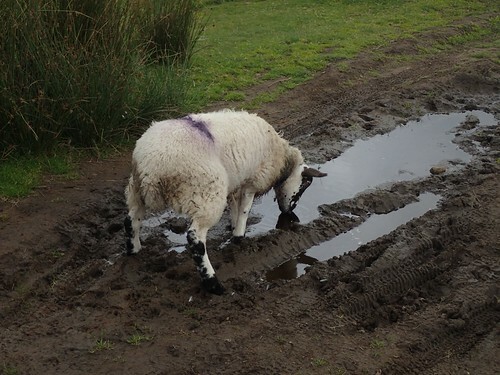 Moving on, I passed one sheep who appeared to be taking a long drink – until I realised that he/she wasn’t actually moving and was perhaps perplexed by its own reflection! 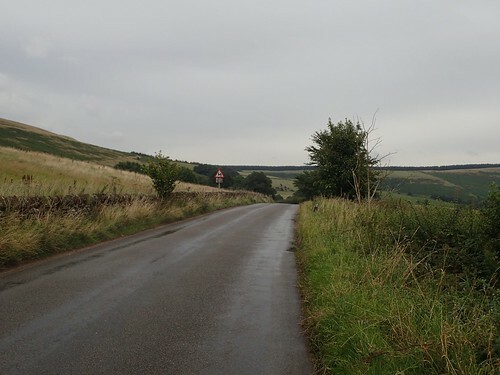 Win Hill was almost in my sights. Once again, the signposting leaves the rest of the UK [possibly] to shame. By this point, I’d started overtaking people. A mum with her two young daughters; a couple of other people coming down from the summit. 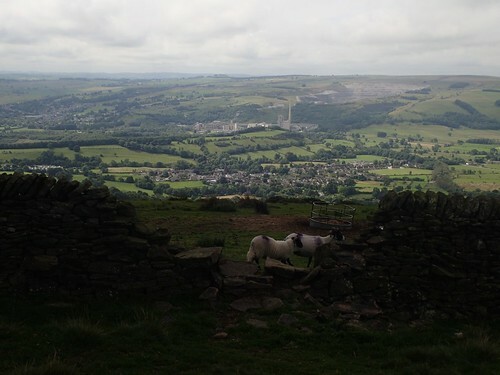 Away to my right, I could see Castleton with the quarry beyond. As I began to close in on the peak, the surrounding landscape appeared to grow darker… Bad weather was imminent, or so I feared. With certainty, I felt the wind speed beginning to increase. There were already a few people lingering around the summit before I began my climb along the southern face of the rocks. 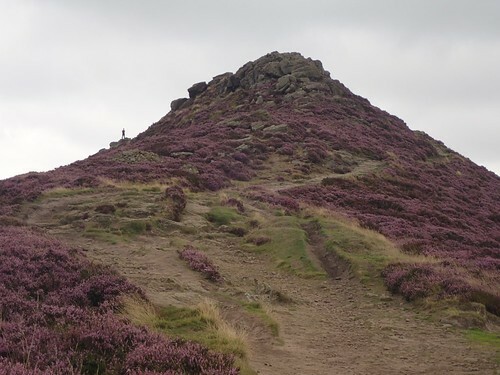 Win Hill is also known as Winhill Pike. I’ve no idea why or what exactly a pike is (I recognise the term from the Lake District) but, not only was this my first summit in the Dark Peak, it was also my ever Pike! 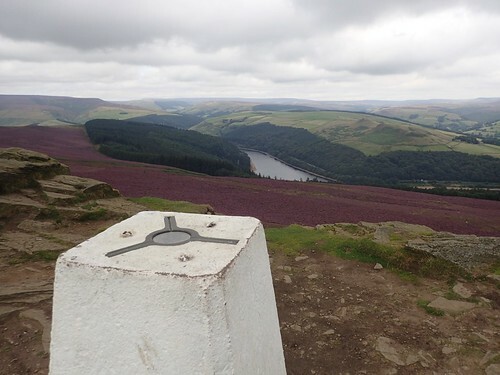 No-one was interested in bagging the trig point; 463m above sea level. They just wanted to stand in the harsh, autumnal wind. 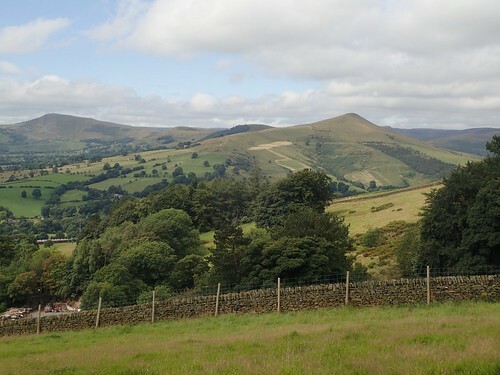 Within the valley to the north of here – and, only one kilometre away – lies Ladybower Reservoir. I imagine it’s busy, even on a cold day. 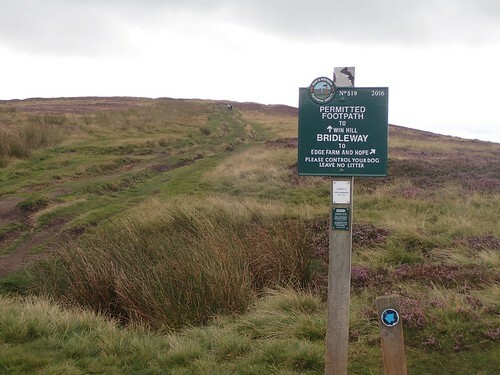 For a future trip to the Peak District, I’ve earmarked another route from The Walking Englishman. Without lingering upon the cold summit for too long, I began my descent towards Hope, via Twitchill Farm (where I almost made a wrong turn up a marked private drive). This descent was very hard on my knees and I was set to lose around 300m in height before reaching the bottom. I could also look on to admire the walking that awaited me. 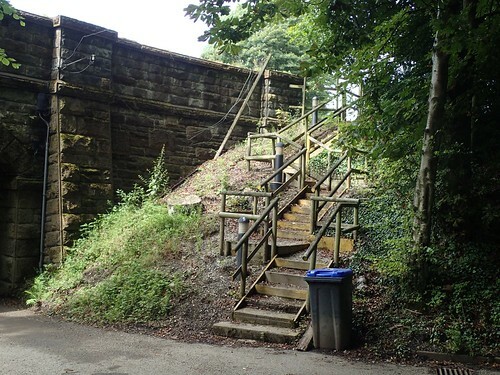 Back on the roads briefly, I came to pass beneath Killhill Bridge, where I noticed an inviting series of steps leading to the top. Now, I don’t remember the kissing gate being locked securely and, I didn’t notice any obvious signs warning people to ‘Keep Out’ or to inform that this land is strictly ‘Private’. 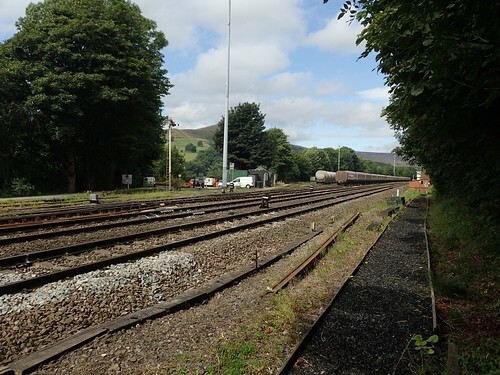 I didn’t risk walking any further, as there notices of fines and penalties for anyone caught walking on the railway line. Back to the road, I went. Before leaving the road just north of Hope, I turned back to see a train cross over another bridge. Due to a lapse in concentration (and, eagerness to push on), I left the road slightly earlier than intended. 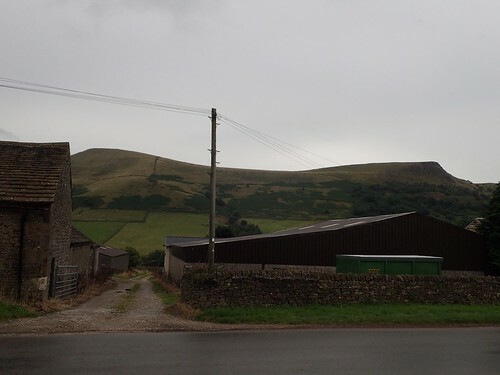 But still, I was climbing in the direction of Losehill Farm, in an effort to regain every meter of height I had very recently sacrificed! To be concluded in Part 2. 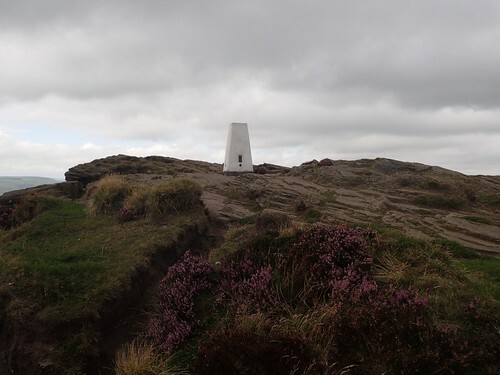 This entry was posted in Peak District and tagged Dark Peak, Derbyshire, Edale, hiking, Hope, Hope Valley, moorland, Nether Booth, outdoors, Peak District, The Walking Englishman, trig pillar, trig point, Walking, Win Hill, Winhill Pike on 25/10/2017 by Olly Parry-Jones.